I know that when you trying to live frugally, things can seem a bit overwhelming. To get you started on the right track, I wanted to make things simple and easy to find all in one place. Hopefully, this Recommendations page will help you get organized and saving money in no time. This page does contain affiliate links but they are only for products that I have used and feel confident recommending to you. Ebates: I use Ebates to save every single time I shop online. It’s very easy to use and they usually have the highest cash back amount for your purchases. You can be paid via a check or Paypal. You can cash out once you reach $5. They also offer coupons and exclusive deals. Plus, when you sign up you will get a $10 bonus when you make your first purchase of $25 at any store! ThredUP is the largest online consignment store. They carry gently used clothes for kids and women. They even have shoes and accessories! They have name brands like Gymboree, Gap, J Crew, and more. You can even shop items that still have the tags on them! You can sign up using this link and you will get $10 added to your account! Schoola is another online consignment store that is similar to ThredUp. The difference is that some of the proceeds from their sales go to help schools! Plus, when you sign up using this link you will get $15 added to your account. 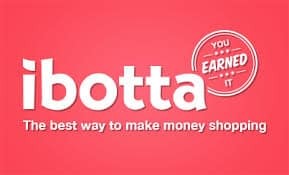 Ibotta: This app has great rebates for grocery shopping. They even offer rebates for restaurants, pet, home improvement, and apparel stores. You unlock rebates by watching videos for the product, reading a fact, or answering a question. It has saved me $162 just this year along. They are currently offering a $10 cash back bonus when you sign up and verify a purchase within 30 days! Checkout 51: This app is similar to Ibotta but you don’t have to do anything to “unlock” the rebate. You just buy whatever items they are offering rebates for and upload a picture of your receipt. They list new items each Thursday.When you reach $20 in your account, they send you a check. 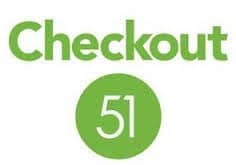 The best thing is that if Checkout 51 and Ibotta are both offering rebates on the same item, you can use the same receipt on both apps! Jane.com: This is a daily deal site with some of the cutest clothing and home decor items I have ever seen. I could spend all day shopping on this site but the best part is how affordable everything is. They have deals up to 70% off! CardPool: I love buying discounted gift cards from CardPool to really make my savings go further. You can get gift cards to your favorite stores and restaurants for up to 35% off! Use this in conjunction with coupons and any other offers to really save some money! Credit Sesame: It is always a good idea to know and check on your credit score. You can get a free credit score check (no credit card required) through Credit Sesame. You can also get personalized savings advice! I am a busy Stay at Home Mom to a beautiful little girl and 2 fur babies. Here you will find money saving tips and tricks to help your family's budget. You can also find frugal recipe ideas, parenting advice, life hacks and some things about my crazy life. Head over here to find out more about me and my blog.